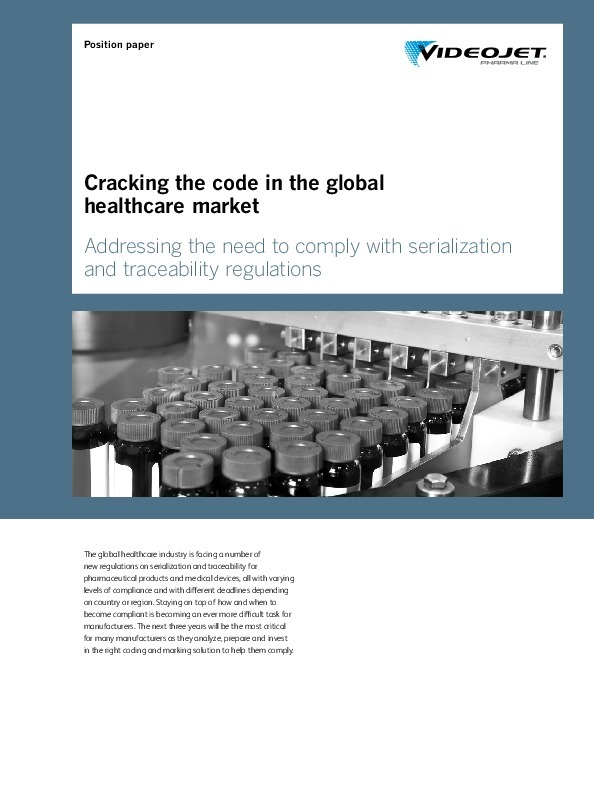 The global healthcare industry is facing a number of new regulations in regards to the serialization and traceability of pharmaceutical products and medical devices, all with varying levels of compliance and with different deadlines depending on country or region. Staying on top of how and when to become compliant is becoming an ever more difficult task for manufacturers. The next three years will be the most critical for many manufacturers as they analyse, prepare and invest in the right coding and marking solution to help them comply. Implementation deadlines are looming large and there is an urgent need for both pharmaceutical and medical device manufacturers to find and implement solutions to stay compliant. With only a few years left to comply with pack level serialization in the US and Europe, the time to complete the changes to existing or new production and packaging lines is rapidly running out. "Those who didn’t start early, may find they are far behind many others in the market. • The lack of technical expertise within the pharmaceutical manufacturing and packaging line environment. • Lack of true global solutions and support for a complex industry that needs to comply to new standards and regulations in a short timeframe. • Solving the resource challenge. • Are you even in line yet? : explore VideoJet’s findings from running the numbers on how much time is actually left on the clock for each stage within track and trace implementation. 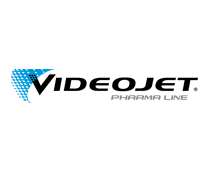 • Case study: This paper will provide an in-depth look at a 5-year working business relationship between Videojet and packaging specialist- Romaco. • An understanding of track and trace’s global progression. Download your complimentary position paper below. 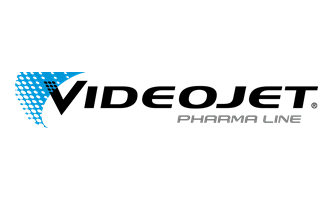 Videojet launch the new Pharma hub – a unique online source for industry news, insights and everything pharmaceutical or medical device manufacturers need to know about coding solutions to comply with serialization and traceability regulations.